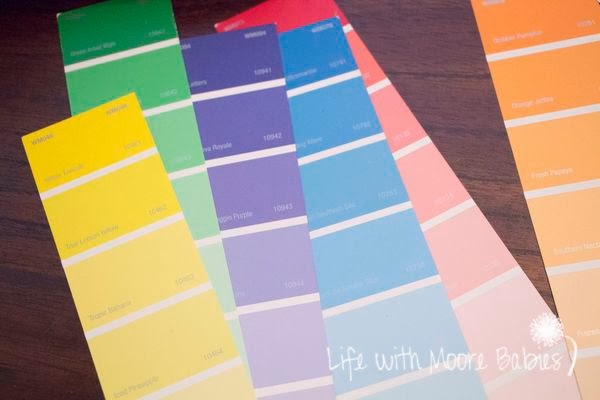 As I continue my quest for perfect paint colors (a seemingly never ending quest at this point), I noticed that my girls had also gotten quite a collection of paint swatches. I decided it was time to put some of them to good use! 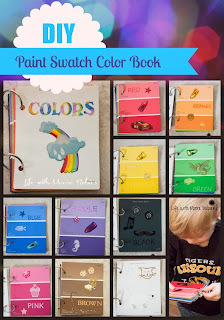 I chose one in each major color of the rainbow (I left out indigo; terrible I know) and used my butterfly scrapbooking punch to punch out butterflies in each color. 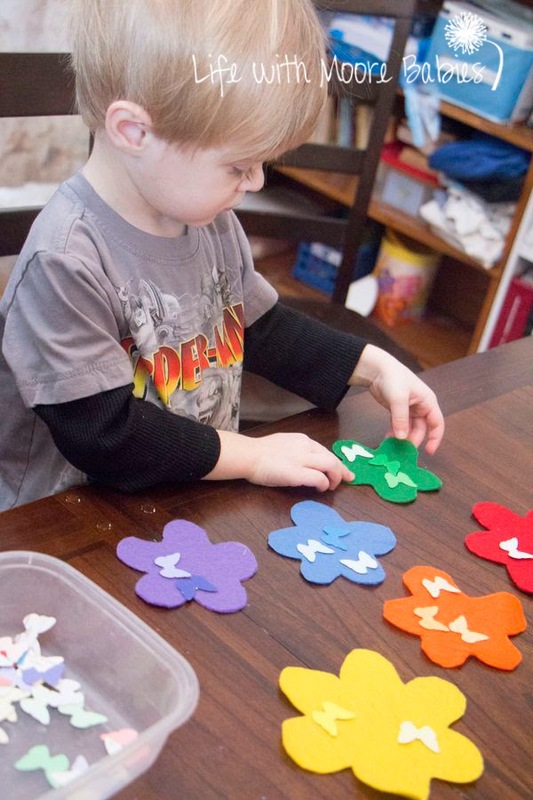 Then I quickly cut some flowers out of felt in the same colors. 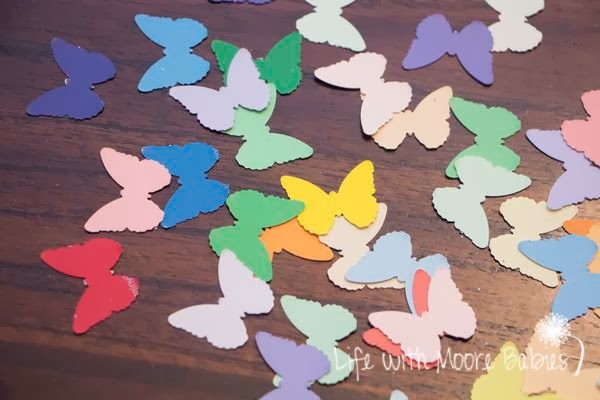 I set the flowers out and handed the dish of butterflies to Eli. 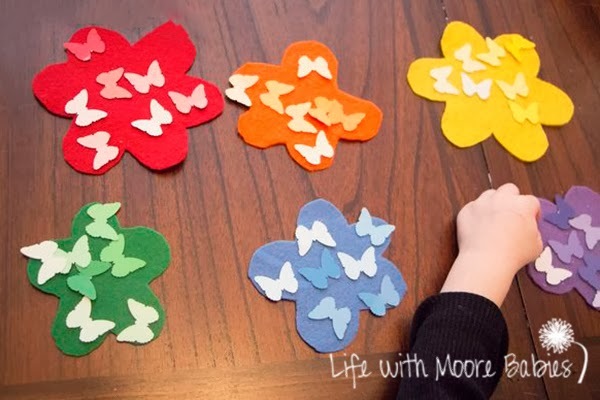 I showed him how to match the butterflies to the flowers of the same color family. He did really well except for the really light purple; it confused him a little. Eventually he believed that it was purple. 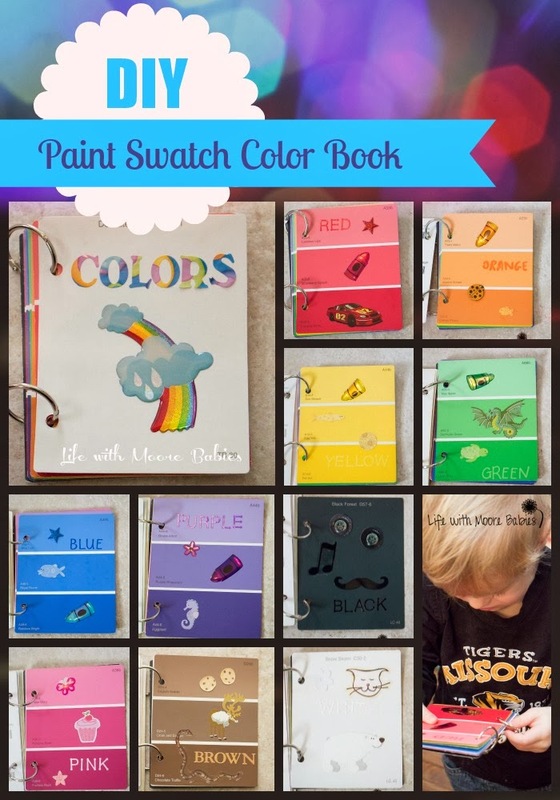 Since we have been practicing colors, I used some of the other samples to make a cute little color book like this one from Craftulate. I only used one sample for each color though, so it was super quick to make. 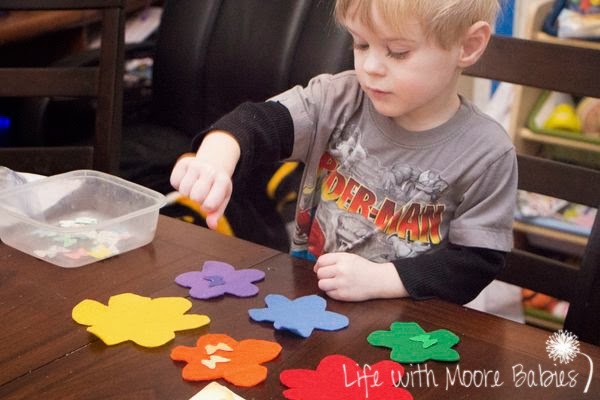 He has really enjoyed his butterflies as well as his color book. 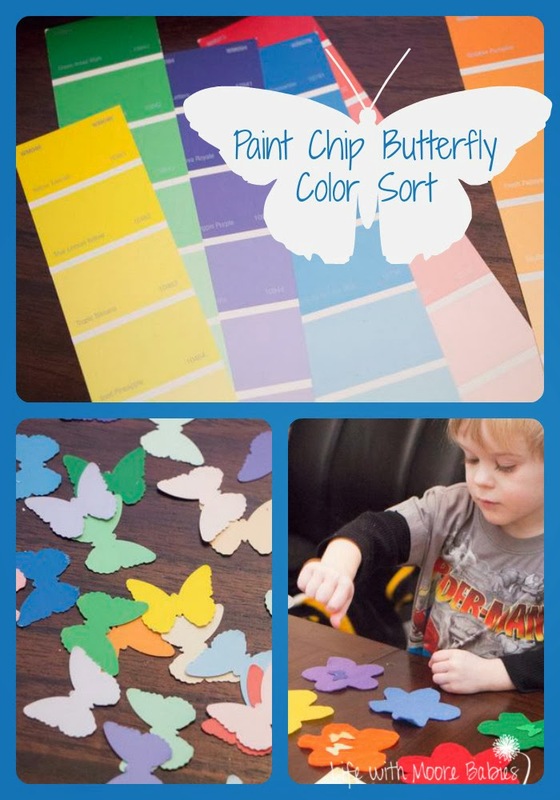 Sometimes he does get a little ornery when it comes to the butterflies and he purposely puts them on the wrong color while smirking at me. Then he laughs when I correct him, and he puts them on another wrong color. At least I know he knows the right color since he avoids them when he is in that sort of mood!